Jax draws a line in the sand, while Lexi gives Ruben a harsh wake-up call. Delia and Conrad’s disagreement doesn’t end in the ER – they also pay At’s office a visit. Warrick asks Steve about his plans for the future, and Conrad is shocked in At’s sacrifices. Lika is not the only one that has plans with Jax. Salaries cause unhappiness, while Lexi says farewell to Okkie and Ilse. Louis witnesses who Jax is talking to, and Warrick shares his radical idea with Steve. Annelize’s detailed observation leads her to Southern Hope, while Deon’s jealousy knows no bounds. Delia mocks At with her offer, while Mbo gives Deon the fright of his life. Lexi realises Steve is under a lot of pressure, and Deon gets rid of his medication. Warrick is encouraged to go ahead with his court application, while Lika defends Jax to Naomi and Louis. A clean conscience costs a white flag, and it is clear that Delia isn’t working on her own. 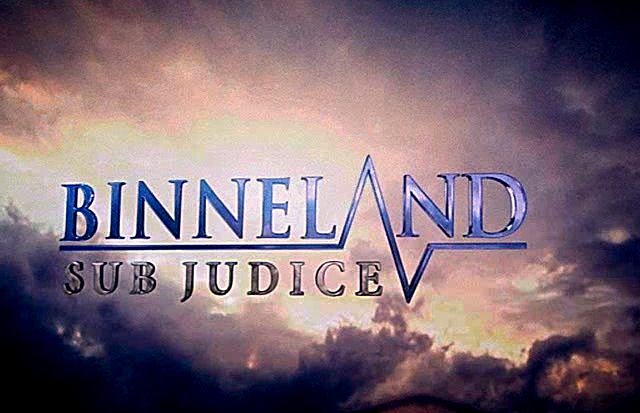 At realises what Warrick is up to – and also that he potentially could lose Binneland Clinic. At accuses Steve of exploitation, and Okkie warns Jax about medication. Steve’s conscience forces him to explain his actions to Elana, while Jax looks to Lika for comfort after a particularly nasty fight. Steve tries to do the right thing, and Trudie witnesses Deon’s latest episode. Delia infuriates Annelize to no end. Annelize wants to save herself, while At is faced with difficult choices – and Conrad isn’t making it any easier for him. Chanel realises Lexi was right about Steve, while Quinton is building castles in the sky for Karli to live in. Steve sees Delia with someone that upsets him, and Okkie is injured in the Ferreira house. Annelize gives Delia a warning, and Chanel and Naomi do their best to support their seniors. Deon is extremely emotional, while Ruben has advice for Chanel on Steve. Everyone is unsure about the future. Delia and Adler discuss Annelize, while Deon surprises Jax with an announcement of his own. Annelize is definitely up to old tricks. Chanel realises she can help Steve with a flat, while Trudie further upsets Jax. Annelize’s plan is discussed, and At and Warrick argue over Jana’s travel plans. Quinton has a big surprise for Karli, while Danny isn’t the only distraction in Jax’s life. Steve’s acting abilities are put to the test, and Warrick needs to be kept away from Delia. Steve enjoys Chanel’s attention, while Karli is evasive about Naomi’s theories. It is not just Okkie and Ilse that are worried about their future, and Binneland Stereo is a buzz about Jax – while Danny is getting worried. Lika asks Tertius for a favour, and Delia gets impatient. At wants to speak to Annelize in private. Elana has a lot to say about Chanel, and Karli almost lets Ilse in on a secret. Jax is in two minds over Deon, and Binneland Clinic has an unexpected crisis concerning patients. Steve takes Danny on about Jax, and Annelize struggles to complete her mission. Conrad has to make a difficult decision concerning two patients, while Elana puts two and two together. Louis is worried about Karli, while Elana confronts Conrad and Annelize. Karli demands that At greets Jana, and Jax is taken to task about her behaviour. A heart is broken, while Naomi’s news gives Okkie new insight into Jax. Steve tries to count his words, but Chanel gets the wrong message. Delia plays her trump card. Trudie shows no interest in the school’s talent night, and Elana knows exactly how to rub Annelize the wrong way. Adler realises Steve and Warrick’s stories don’t come from the same book, and Naomi is worried about Quinton – while Jax is touched by Okkie’s concern. Steve is making Chanel uncomfortable, and an interesting conversation gives someone the upper hand. Okkie tries to persuade Trudie about the school’s talent night, while Elana doesn’t mince her words during a conversation with Conrad. There are a variety of reactions on hospital news, and Tertius is caught off guard by patients. At is unsure about Conrad’s suggestion, while Annelize gets an unexpected warning – which later proves to have been right. Tertius makes an appointment, and Carina asks Trudie for help. Louis thinks Tertius made a mistake, and Okkie and Ilse are curious about Trudie’s new friend. Elana is stunned by At’s ultimatum, while Ruben realises that Jax is already bored. Annelize is on the war path – and At hits the road! Steve realises Elana is worried about Charles, and Gaynor is looking for answers that no one is willing to give her. Annelize’s observation makes her wonder about the finer details of a relationship, while Tertius warns Conrad about an upset widow. Trudie’s interest in the talent night is piqued by her new friend. Okkie is disappointed in Trudie’s decision, and Annelize wants to repair the Oncology unit’s reputation. Tertius is left to extinguish a few fires when Gaynor shows up with resentful questions. Louis thinks Naomi is being unfair towards Ilse, and Annelize suspects Delia has something to do with the new drama. Louis wants to have a serious conversation with Naomi, and Elana catches a frisky couple. Trudie shares her plan with Louis, while Jax has had enough of Steve’s interference. Gaynor is obsessive about answers, and Annelize makes it very clear that she doesn’t want Elana’s assistance. A wound leads to an honest talk, while Trudie and Quinton’s friendship develops. Elana corrects Steve about Charles. Quinton has suggestions for Trudie’s assignment – but it is not the reason for Trudie’s sudden popularity. The Oncology experiments cause huge friction between Elana and Annelize, while Gaynor is not just a danger to herself – but also to the staff of Binneland Clinic. Elana admits to Steve that she has a hidden agenda with Dr. Brian Els. Louis can’t stop thinking about Gaynor, and Annelize reads Elana the riot act. A note leads Louis on a search of his own, and Quinton doesn’t know what is really going on with Karli. Trudie finds it very difficult to be honest with Okkie, and Annelize has to hide her irritation when Brian shows up. Naomi asks Conrad’s assistance in finding Louis, while Brian announces his plan (and protocol). Elana is aware of Steve’s jealousy, and Gaynor realises she needs to keep Louis busy. Quinton hides his true feelings, and Elana wants to discuss her operation with Brian. Chanel’s memory doesn’t evade her, while Naomi and Conrad are nervously looking for clues. Wimpie is eager to be part of the clinical trials, and it becomes evidently clear that Elana’s career will always be her first priority. Lika tries to save Quinton from himself, while Louis and Gaynor’s hope is slowly but surely disappearing. Naomi’s discovery leads to a confession, while Elana’s conscience leads her to make an appointment. It is very clear that a letter is more than just a few written words. Elana realises that Chanel might have made a mistake, while Quinton’s head is filled with cricket. Conrad realises something is very wrong with his patient. Brian reminds Elana about the confidentiality of information, and Louis is in grave danger. Chanel gives Quinton something to think about, while Annelize thinks she knows why Elana is so nosey. An emergency operation has one specific person’s nerves in tatters, while Steve has a good reason for wanting to replace Chanel on the project. Brian confronts Elana about her interference – and commands her to stay away from his clinical trials. Matters of the heart livens up Binneland Stereo, and Quinton talks to Tertius about Karli. Noami visits Gaynor, and Mercia is nowhere to be found. Jax has an uncomfortable run-in with Quinton, and a password is not the only problem a doctor is confronted with. Trudie speaks her mind about Quinton’s coaching technique. Okkie is looking forward to his first meeting. Brian Els is definitely up to something. Wimpie urges Ilse to have her check-up done by the new doctor. Chanel is caught off guard by a task, and Quinton becomes a potential problem for housemates. Elana laments about Brian to Steve, while Conrad shares his troubles with Elana. Mercia wants to know more about a relationship, and news about Ilse spreads like a wild fire. An injury leads to a falling out between Quinton and Jax, while Tertius asks Lika for advice. Mercia quickly makes a new friend at her new home, and a death makes Annelize very suspicious. Ilse is not happy about the prescribed treatment, and Mercia shares more than one bit of good news. Quinton tries more than one tactic to ensure a situation goes in his favour. Mercia encounters more than what she expects at the house, and Okkie discusses his concerns about a new relationship. Breakfast at the Koster Mansion becomes an interesting experience, and Quinton wonders about Tertius and Jax’s friendship – and shares his concerns with Lika. Brian takes Elana to task about her operation, while Mercia’s confession towards Naomi upsets Louis. Annelize tries to not make Brian suspicious, while Louis struggles with forgiveness. Lika’s jealousy catches Tertius off guard, while Okkie is worried about Ilse’s treatment. Naomi is suspicious about Mercia’s silence concerning her time overseas. It becomes very clear that Mercia and At won’t be reconciling any day soon. There is a huge problem with Ilse, and Jax is surprised by an apology. Elana has no plans to throw in the towel, while Mercia’s invite to Naomi is not free from an agenda. Jax might have a solution to the room problem, and Annelize tries to keep Brian away from Ilse. Mercia tries to explain to Naomi what motivates her behaviour, and Tertius is not impressed with Jax and Quinton’s quarrel. Okkie is stunned when it is explained to him what is expected of him. Trudie might be the solution to Jax and Quinton’s problem. At and Mercia’s behaviour towards each other leads to more questions than answers, while Okkie tells Naomi the truth. At wants to handle the accusations against Brian discreetly. Lika has romantic plans – that don’t necessarily include Tertius. Annelize and Elana do what they think is necessary to resolve the current crisis. Brian is surprised to hear that Ilse is in the hospital, while At is stunned when Louis confronts him about Mercia. Okkie is out for blood when he lands up at the gala, while At needs to be think quick on his feet. When gambling is not the answer, Nina’s SingStar is inaugurated. At is not impressed with Annelize and Elana, but even less so with Annetjie. Mercia asks Ruben about job opportunities. Conrad’s conversation with Annetjie leads to him confronting Annelize about Delia and Adler. Mercia gives Louis unwanted advice. Quinton ropes Tertius into Jax’s challenge. Okkie’s curiousity takes over when Mercia is cooking, while Esra does his best with inflicting an injury. Piet’s newest assignment has to do with Delia, and Jax gives Quinton a deadline. Steve considers a patient’s very good business proposal. Wimpie undertakes to sell Mercia’s concoction at Eikehof. The finest details of a plan are discussed, while Steve discusses his business idea with Elana. Lika is caught off guard when Tertius has a hefty reaction about news from Rustenburg, and At puts his plan in motion – but he will need Annelize’s assistance. Conrad convinces At to be present at a meeting, while Ruben puts his foot in it. Breggie is curious about Wimpie’s new lease on life, and a ghost from the past upsets Quinton. Annelize needs to calm At down when Annetjie recognises someone, and Louis feels left out at his own party. Louis stuns Mercia with his insecurity, and Tertius wants to put a drastic plan in motion that concerns Nina. Quinton is ready to have a serious conversation with his best friend, while Piet’s behaviour motivates At to go to a business meeting. Wimpie causes trouble for Mercia. Mercia’s luck is short lived, and Esra is left in Piet’s capable hands. Steve is very impressed with himself after the meeting, while Trudie gives her honest opinion about the song. Louis is frank with Naomi about his childhood, while Conrad and At discuss their current problem in depth. Binneland Clinic is looking for a new assistant matron. At hatches a plan just in case there is an audit, and Cronjé experiences a crisis – which quickly becomes the hospital’s problem. After a few ordeals, the song is an audience ready, while Mercia is waiting to hear what is going to happen to her. Mercia shares her news with Louis, and Jax is not sure if Cronjé is telling the truth. Nina’s homecoming isn’t a completely happy affair, and the mention of an amount is just a bit too coincidental to Conrad. At makes a shocking discovery, and Conrad has his doubts about an application for the job. At tells the board exactly who Cronjé is. Trudie wants to make Nina a costume, and Noami seeks advice from Annelize. Tertius’s discovery makes him concerned for his child, and Steve and Annelize put two and two together. At is threatened with documents, while Louis is livid with his mother. Mercia talks openly to Ilse about Louis, and At is honest about his connection with Prof. Snyman to Conrad. Jax shares the news about the results, and At asks the board to break the law. Tertius warns people about Nina’s outing, while Esra is commanded to switch to Plan B.